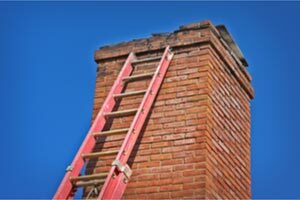 You can avoid the most common Toronto chimney repair scams by obtaining a second quote, knowing the average prices for certain services, and doing a little research. 11% of Angie’s List members reported a negative experience with a chimney specialist at some point in time, while 2% say they’ve had nothing but bad experiences with chimney professionals. Law officials admit it can be tricky to catch chimney scammers, often because people remain unaware they were ripped off until sometime down the road. You can avoid becoming a victim of common chimney repair scams with these 6 tips. If you receive a quote that sounds exuberant, don’t just accept it as the real deal. Get a second quote, or at least conduct a Google search to see the average cost for that service in your area. If the quote far supersedes averages, ask why you’re being asked to pay so much more. Perhaps you’ll get a reasonable answer, but either way your best bet is to get a second opinion. Know what the average going rate is for a chimney sweeping and other basic services before agreeing to a certain quote. Really low prices might be tempting, but they usually signify something is up. A legitimate company is not going to take a ladder off their truck for $30. Any chimney services offered for too-good-to-be-true prices are screaming with warning. It is not uncommon for companies to charge low rates for services, only to collect the money and then do nothing at all. Always look masonry and chimney specialists up online, paying close attention to online profiles and reviews, before deciding to work with them. Reviews are incredibly telling. If a company has no reviews you might want to raise a red flag, especially if they are not a new business. Even worse are companies with lots of bad reviews. Beware that businesses often change their name in order to avoid people finding negative reviews about them online. Ask if the company has ever operated under a different name, although there’s no guaranteeing they will tell the truth. The safest option is to go with a company that has a number of positive reviews and a well-established online profile. Don’t make quick decisions when it comes to hiring someone. Take your time, get multiple quotes and do some online research. You’ll thank yourself later! Once you find a trusted chimney contractor you don’t have to go through the hassle again. Don’t let any contractor pressure you into agreeing to their services on the spot, even if they are offering a limited time discount. Working with bonded and insured chimney professionals will protect you against so many potential issues. Ask to see proof of insurance before any work is conducted on your property. 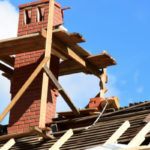 Extensive chimney repairs can be pricey to fix. You want to be sure they are actually necessary before forking over your hard earned cash. 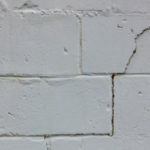 Ask to see the damages yourself, or at least a photo of the area that needs repairs. 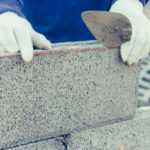 A quality and honest mason should be able to gather the proof necessary to prove you really do need the suggested repairs. 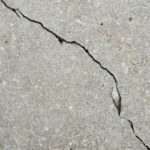 You can ask for proof of just about any damages a contractor claims. For instance, many scammers will tell you that your fireplace is leaking carbon monoxide, a potential but rare problem. Contractors must have a meter of some type in order to determine carbon monoxide levels, so ask to see the reading first hand. How Often Do You Really Need Your Chimney Cleaned & Inspected? The answer to this question has a lot to do with how often you use your fireplace and the age of your fireplace. Many experts recommend having your fireplace inspected and cleaned once a year prior to the start of winter. If you can afford it, this is a great way to prevent most potential problems. If your chimney is relatively new and only used a couple times a week in the winter you might be able to get away with having your chimney inspected once every other year.